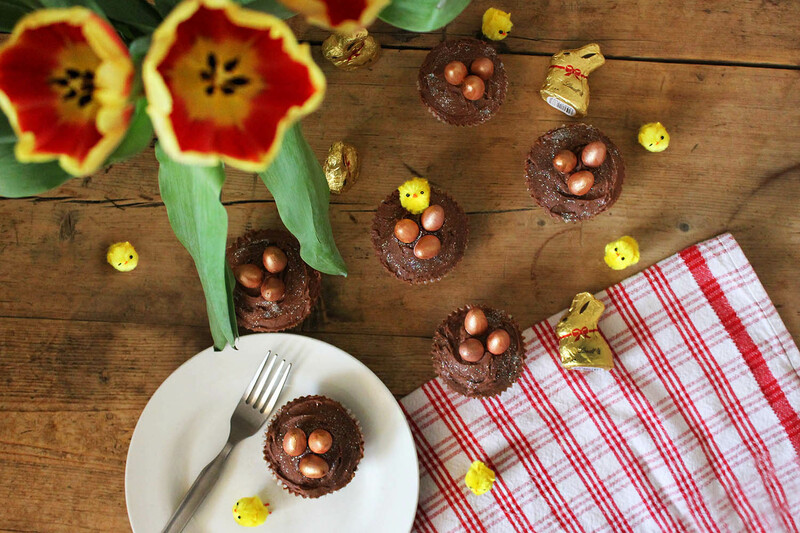 How to bake: Hoppy Easter cakes! Easter is nearly here! Not only does that mean that a four day weekend is coming up, but it also means that you're allowed to eat chocolate for the whole time! So, I decided to make possibly the most flamboyant cupcakes ever made, as a fun Easter treat. I recently bought a bunch of baking goodies as I thought my little baking cupboard was lacking some more exciting decorations. 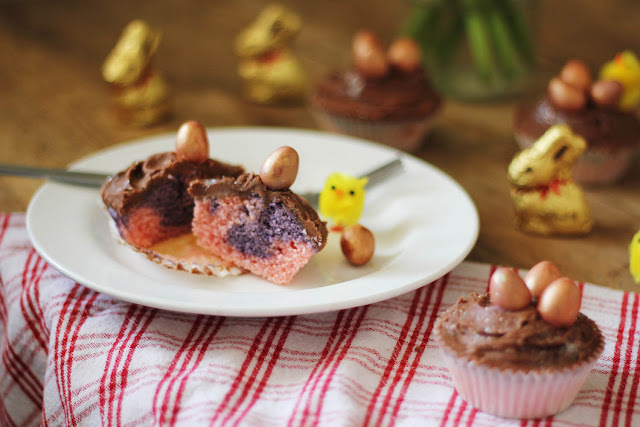 I searched online for some new pieces and came across some super bright food colouring, edible liquid copper paint (which I used to paint the mini eggs) and edible holographic glitter, a few weeks later, these cakes were created. 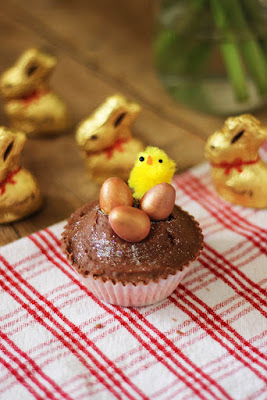 For this recipe I'm going to be using Mary Berry's Vanilla cupcake one, as it never goes wrong and sometimes I day dream and pretend I'm her... So, preheat the oven to 180 degrees or gas mark 4, and line a regular 12 hole tin with baking paper cases. Put all the cake ingredients into a large bowl and beat with an electric hand whisk or a wooden spoon until smooth and evenly mixed, add in your pink food colouring. Save an eighth of the mixture and add a dash of purple food colouring. Don't worry if you've already made the whole mixture pink, the purple will still blend in easily. Divide the mixture evenly between the paper cases. Once you've added in all of your pink cake batter add a teaspoon of the purple mixture and swirl in the cake case with a knife or skewer for a more professional effect. Bake for 20 minutes, or until the cakes are well risen and firm on top. Transfer to a wire rack to cool. 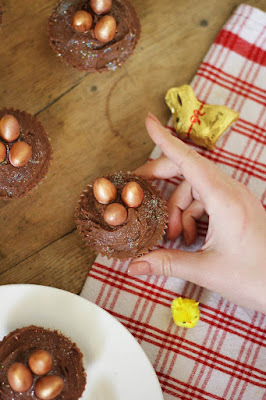 Whilst the cakes are cooling it's time to make your chocolate buttercream. Mix butter and icing sugar until smooth. Add in cocoa powder, if you find that it's not coming together nicely, add in a drop of milk and mix again until smooth. Once your cakes have completely cooled add your buttercream to the top of your cake. You can use a piping bag, palette knife or a regular kitchen knife (which is what I used) to create your frosting design. My Cupcake Addiction has some amazing videos on her channel if you're looking for some frosting inspiration. It's time to decorate! I painted my mini eggs with copper food paint and popped them on top in groups of three, to finish I then sprinkled some edible holographic glitter to make them extra sparkly!